The Total Solar Irradiance, also called 'solar constant', over a full solar cycle from 1996 to 2006, as measured by the VIRGO instrument on SOHO. 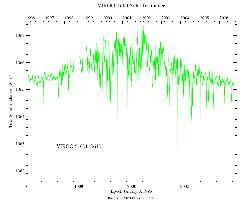 The 'solar constant' clearly is not constant, but varies by about 0.1% over a solar cycle. 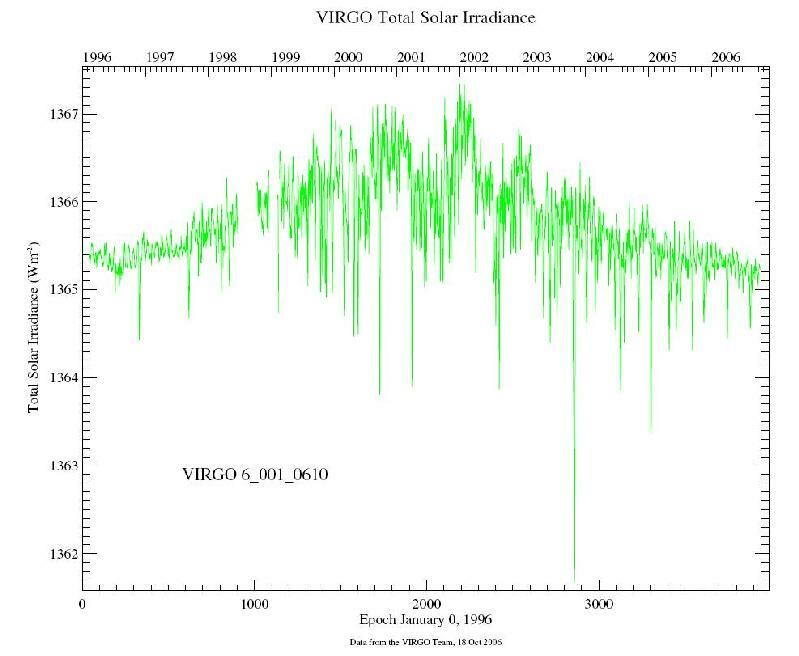 The Sun's energy output is smallest during activity minimum and largest during maximum. The spikes extending to smaller values are due to large sunspots blocking part of the sunlight. The smallest value was reached in October 2003 during the "Halloween Storms", when there were several large sunspot groups on the Sun's disk.